Professional support team will give answers to all your questions as quickly as possible. Contact us 11 AM - 7 PM (GMT +02.00) Monday through Friday. You can send an e-mail or chat in real time with File2Cart support team. Our support center will appreciate your feedback as your opinion helps to develop our software performance improvement. Submit bugs, request new features or suggest modifications to existing features. 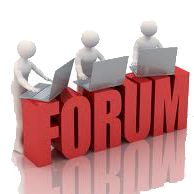 This forum was created to provide effective communication chain of software users and the support team. Here you can find answers to your questions concerning the application you're using or start a discussion of your own. You can share your experience with other users. Here you will quickly find comprehensive answers to your most common questions and also some useful and interesting information on the topic. Before you contact the support team, please make sure that your question is not yet answered in the FAQ section. 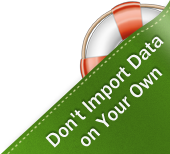 You don’t have to waste your time, professional data import setup service is provided to minimize your efforts. If you want the whole import procedure to be performed without your participation, Data Import Assistance is for you. All you need to do in this case is provide data files and access to your online store and wait a bit for your products to be imported to your store. The rest will be done fast, professionally and absolutely securely by File2Cart Team.